Symptoms of wheat allergy vary from mild to life threatening, and avoiding wheat can be harder than it sounds. Most people know to avoid such foods as bread and other baked goods, pasta, and many kinds of cereal, but wheat is a hidden ingredient in scores of processed foods. 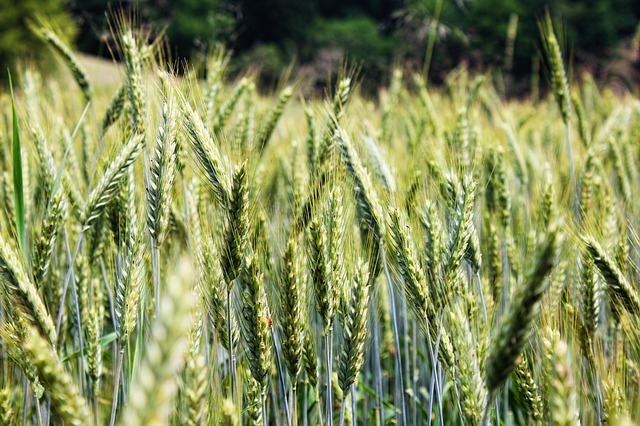 The entire wheat plant is able to cause an allergic reaction, including the stalk, grains, starch, fat, and protein (“gluten”). Any of these plant parts can be added to foods including soy sauce, condiments, ketchup, and even beer. Understanding wheat allergy may help put an end to uncomfortable symptoms, and may even save your life. Unfortunately, these cells, which are designed to fight off the invader, actually cause allergy symptoms. The mast cells burst open, releasing a flood of chemicals into the blood stream, one of which is histamine. These chemicals cause symptoms such as swelling and increased mucus in the nose and airways. This reaction is the same whether you are allergic to bees, the neighbor’s cat, or wheat. Who is Susceptible to Wheat Allergies? Wheat allergy is most common in infants and toddlers, probably because these little guys’ digestive systems are immature. In this case, many children outgrow their food allergies by the age of five. Many adults who suffer wheat or other food allergies have been sensitive all their lives, however, it is possible for such an allergy to sneak up on you at any point in life. Even if you have eaten a particular food for many years, it is possible for your immune system to suddenly become suspicious and attack. Once that happens, you will have a reaction every time you eat that food. Family history plays a large part in allergies of any type. If one of your parents puffs up like a blowfish when they eat strawberries or any other food, you are definitely at increased risk. Depending on the severity of the allergy, wheat allergy sufferers can develop symptoms within a few minutes, to a few hours, of the time you ingested the wheat-containing food. Anaphylaxis is an immediately life-threatening condition that requires medical attention. (3) If you or someone you know has any of these symptoms, it is best to call 9-1-1 or go to the nearest emergency room. When it comes to combating allergies, the best offense is certainly a good defense. 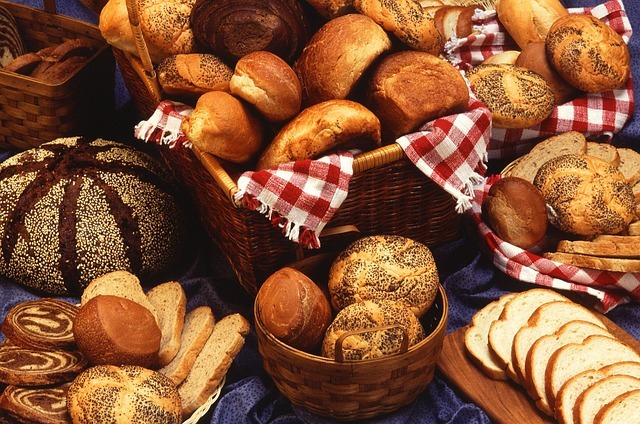 Avoiding wheat-containing foods is critical to avoiding those unpleasant symptoms. Unfortunately, many foods you would never suspect contain wheat products. Educating yourself about how these might be listed on the label is of the utmost importance. Avoiding exposure to wheat-containing foods is more complicated than simply not cooking these foods at home. It often takes extreme caution, as well as enlisting the help of others. √ Wear a Medical Alert Bracelet or Necklace. Anyone at risk of anaphylaxis or other severe symptoms from wheat or another allergy should wear a medical alert bracelet that clearly states the allergy. √ Inform Others. Make sure family members and co-workers know about your allergy. If your child has a wheat allergy or any other serious allergy, be sure to inform his school principal and teachers. Provide them with a list of symptoms. Tell them if your child carries an epinephrine pen, and be sure they know how to use it. √ Diligently Read Labels. Wheat proteins are often used as food thickening agents, so they appear in places you don’t expect. Learn to identify ingredient terms that refer to potentially wheat-containing products, including triticum, natural flavoring, artificial flavoring, and dextrin. Even if you have used a particular brand for years, ingredients sometimes change. Be sure you always read labels. √ Look for Gluten-Free Foods. While gluten intolerance is different from gluten or wheat allergy, many gluten-free foods offer wheat-free alternatives to popular foods. Gluten is the protein part of the wheat. Because wheat allergy includes all parts of the plant, including the bran and starches, you still need to scrutinize the labels. √ Check Out Wheat-Free Cookbooks. Because wheat allergies run rampant, there are many cookbooks available that are filled with wheat-free recipes. These recipes can help you prepare safe alternatives to your favorite foods. √ Use Caution When Eating Out. Tell the restaurant staff specifically about your allergy, and make sure they understand that seemingly minor things such as breadcrumbs or leftover flour on a countertop could cause a problem. Order simple dishes that are prepared with fresh proteins and vegetables, rather than pre-packaged ingredients. Avoid foods, such as dressings and sauces, which often have hidden wheat ingredients. It’s also a good idea to avoid menu items, such as deep-fried foods, that are cooked with other wheat-containing foods. Wheat allergies plague people of all ages, and in all walks of life. Wheat has long been a popular food, and in modern times, wheat ingredients have found their way into a huge variety of prepared foods. Many wheat allergy sufferers find that accidental ingestion causes miserable symptoms for a few hours or even a few days. Those who have more serious allergies, however, may find themselves in a life-threatening situation if they are exposed. Diligence in avoiding wheat-containing foods is extremely important, making education about these ingredients imperative. Once new diet and lifestyle habits have been established, you and your family will find that steering clear of allergy symptoms is easier than you think.